Professor Paul Almeida, sociology unit chair, teaches and researches social movements among other topics. With race, immigration, rising inequality, gender discrimination and collective mobilization grabbing current headlines, the work of the UC Merced sociology unit — always relevant locally — is gaining wider recognition across the country. It’s a remarkable achievement to reach parity with sociology departments on sister campuses in such a short time, given that they are largely ranked in the top 30 in the nation, with two campuses in the top 10. The sociology program (as a standalone department) only began in 2013 and the graduate program in 2015, unit Chair and sociology Professor Paul Almeida said. Dozens of books, scholarly papers, and grants and fellowships by faculty members have received national and international recognition and published in the most esteemed outlets. While this is expected for any UC academic department, the award-winning research at UC Merced is based on topics of vital importance to the region and nation. This includes the areas of gang recovery, mass deportations, racism, gender discrimination, access to public and higher education, and the conditions under which collective political empowerment is achieved. Together, the faculty members have worked to build a vital undergraduate program over the past seven years, and a growing and thriving graduate program over the past four years, with the third-highest undergraduate enrollments in the School of Social Sciences, Humanities and Arts and one of the most diverse graduate programs on campus. 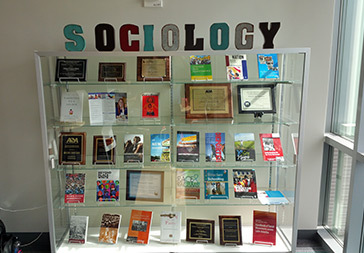 A display case in the Classroom and Office Building 2 shows off many of the books sociology professors have written and awards they have won. The sociology unit’s focus links it tightly to UC Merced’s goal of being of service to the San Joaquin Valley, both as an educational destination for students who might otherwise not have been able to go to a university, and as a research institution that is working to deliver solutions to the most pressing problems facing the region, including immigration reform, social exclusion and political empowerment of marginalized communities. Take, for example, recent news stories about Professor Whitney Pirtle’s collaborative research into health outcomes for young people who experience the relief of legal immigration status. Even the temporary safety of a Deferred Action for Childhood Arrival (DACA) designation reduces stress and its ancillary effects. Or consider the prolific authorship of Professor Tanya Golash-Boza, whose fifth book, “Deported: Immigrant Policing, Disposable Labor and Global Capitalism,” has made her one of the media’s go-to experts on the political economics of immigration. She explores why there is more deportation now and how deportation connects to other systems of oppression, as well as links to incarceration. “We work hard to make sure the students will be interested in the topics we present because they are relevant here, but we are also becoming nationally known for the work we do,” Golash-Boza said. “I feel like we’ve been really smart about how we’ve built this program. We’ve done it in a way that resonates with the students.” This includes the addition over the past two years of new professors Charlie Eaton and Sharla Alegria. Professor Whitney Pirtle's work focuses on race and ethnicity and inequalities. The sociology faculty members agreed they joined UC Merced because of the opportunity to help build a new campus and because they specifically wanted to work with this university’s student population. The unit has grown in a deliberate way, with a focus on in-depth of training for undergraduates and graduate students. They are taught from their first semesters in the program how to write for academic publications and are given opportunities for research and internships. Master’s thesis topics have included mass violence; the relationship between racism-related stress and health and native healing rituals; farm labor organization; social services and immigrant community mobilization; the influence of the ADHD label on teacher expectations; the Equal Rights Amendment; siblings and college success; and many others. In just three years as a full-fledged graduate program, 18 master’s degrees have been conferred in sociology, and students have already been placed in high-level jobs. That includes alumnus Marcus Shaw, who recently started a tenure-track faculty position at California State University, Fresno, and Juanita Garcia, a student mentored by Professor Zulema Valdez, who just started her tenure-track position in sociology at UC Riverside. One of the 18 master’s theses, by Hyunsu Oh, won the 2017 Best Graduate Student Paper Award from the Pacific Sociological Association. 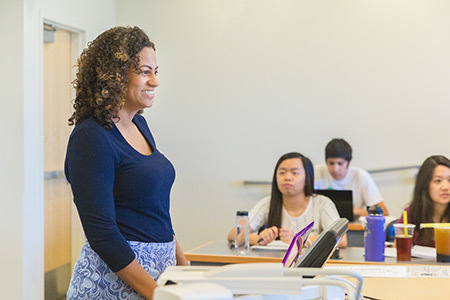 Sociology undergraduates have gone on to advanced degree programs at UC Berkeley, the University of Southern California and the University of North Carolina, and into careers including community-based and social services organizations. The department plans to place dozens more students in community-based organizations and nonprofit social services in the next few years. 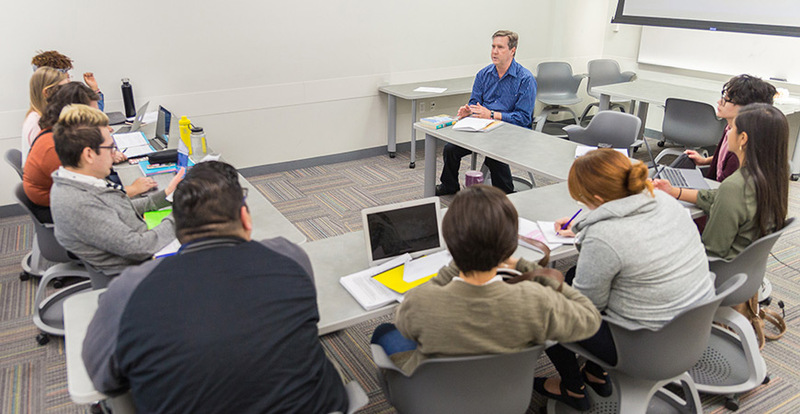 The faculty members all share a sense of accomplishment, not only because of the student and research success, but because of their increasing recognition and their place as part of UC Merced’s overall goals.